Welcome to Mercedes-Benz Country Hills’s Automotive Service Department! We have a team of qualified and experienced Mercedes service technicians standing by to help you with any of your service related needs. From oil changes, tire rotations, brake pads or transmission problems, we’ve got factory-trained technicians who are able to help. Take your Mercedes-Benz to the professionals for expert maintenance and repair that will give you years of driving enjoyment. While we specialize in luxury vehicles our techs are equipped to deliver high quality service, maintenance, and repair for all makes and models. 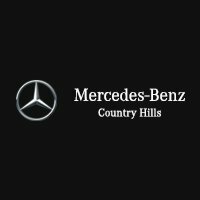 Sometimes life results in dings, dents, and scrapes but the team at Mercedes-Benz Country Hills is here for you. Keep your Benz looking sharp with our repair services including small dent removal, windshield repair, and more. Our staff are also equipped to handle replacement parts and any of your repair needs to get you back on the road. You can count on our team for all your Calgary Mercedes needs.